Looking to sell a JCB Digger or excavator? Is your JCB digger or excavator up for sale? If you have a JCB digger for sale, rest assured this is the place to sell it. As an authorised buyer of JCB products, we ensure fair prices with cash paid for your top quality product. JCB is a trusted name in the excavation and digging industry, with the first machine built by Mr JCB himself back in 1945. That was a single tipping trailer built from a £1 welding set in Rocester in Staffordshire, but now the company is widely known across the globe with over 279 different machines for sale in over 150 countries. One of the biggest names in the industry, you will no doubt have seen their logo stamped on the side of their machinery, whether that’s a JCB long reach digger, dragline digger, amphibious digger or JCB micro excavator. JCB offer many different digging and excavation products, which are, recognised the world over, so we’re happy to purchase almost all of them if you are looking to sell. The company is still based in the same area in the Midlands, but we can buy any JCB excavators no matter where you are in the UK. 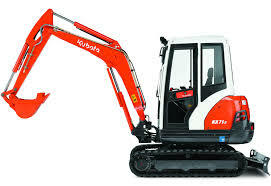 So if you’re looking to sell a JCB Digger or excavator or your JCB digger or excavator up for sale? Just fill out our simple form and we can get back to you with a quote of how much we will pay for your JCB digger, usually within 48 hours. 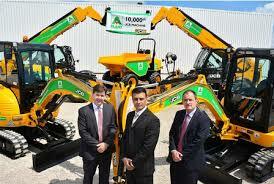 Simply fill in the Request a Valuation form now and we’ll be straight in touch to value your JCB Digger or Excavator!